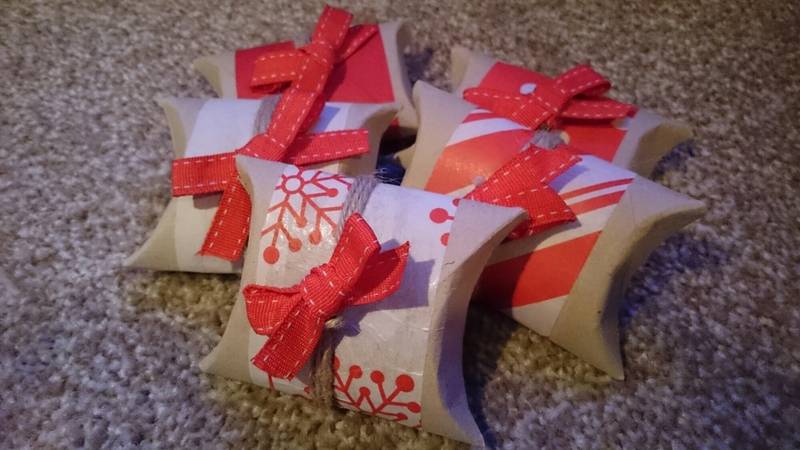 – 10mm grosgrain ribbon or anything festive! I have used my boxes for chocolate coins (warning to all of my friends, if you have children and I’m due to see you before Christmas you are probably going to leave with one of these! ), however small gifts or money will fit inside. 1. 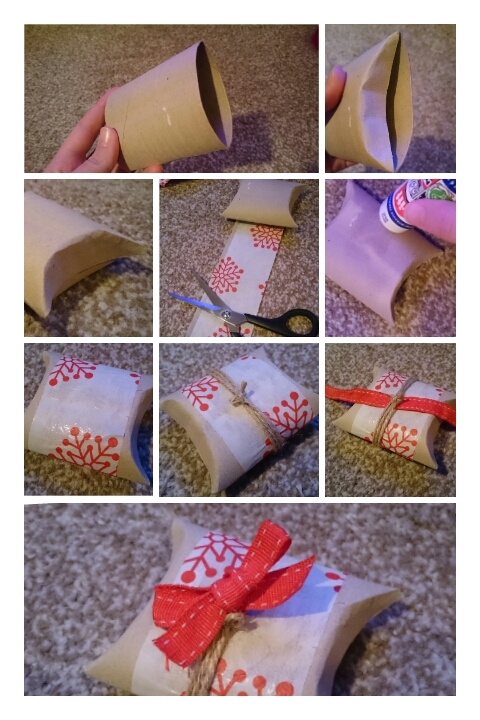 Press down on your toilet roll to flatten it (if you are using a kitchen roll do this before you cut to size). 2. Fold in the edges about 1cm, you will notice the roll naturally curves if you start from the middle. 3. Repeat until both sides are ‘sealed off’. 4. Cut a strip of tissue paper wide enough to cover the centre of your gift box and long enough to wrap around. 6. Wrap around the tissue paper. 7. Get your string and tie around several times and tie in a simple knot. 8. Feed ribbon under the knot like pictured. 9. Tie into a bow and voila! One finished gift box! 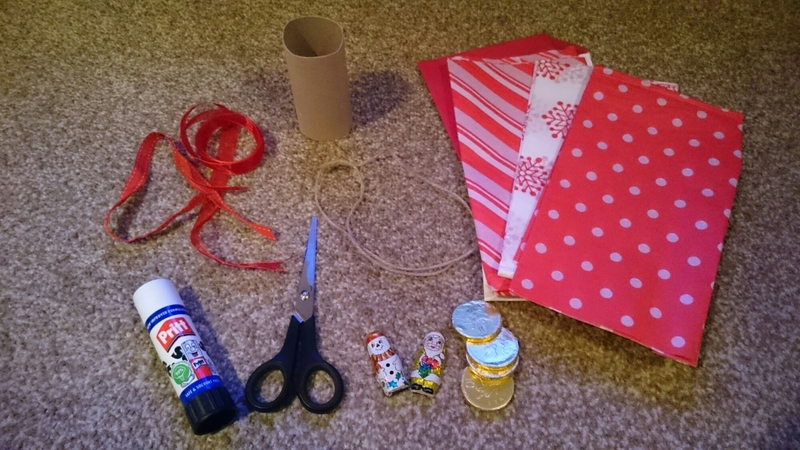 This entry was posted in Uncategorized and tagged chocolate, christmas, crafts, gifts, glue, loo roll, money, ribbon, string, tissue paper by allinsonsmith. Bookmark the permalink.